Currency (money) is useful because it represents mutually agreed upon means of measurement and exchange. That is, if we all accept American dollars as our currency of exchange, then items as disparate as a bus or an onion can be all measured in the same units. The bus is expensive and costs more dollars and the onion is cheaper and costs less dollars. But everything is measured in dollars and both parties accept dollars as the currency of exchange. If one party decides to deal in dollars and the other accepts sea shells (as used historically in some primitive cultures) or salt, then it is impossible to deal. There is no common currency. The buyer wants to use dollars and the seller wants sea shells. No deal. Both parties need to agree on how to trade. That is the value of a common currency, whether it is dollars, sea shells, Bitcoins or gold. There is only power as long as the two parties agree. But this post is about nutrition and obesity. So, what is the common currency of weight gain? Most people think that ‘calories’ fulfills this role of common currency. Sugar contains a certain number of calories and lettuce has less calories. We imagine, therefore that these calorically ‘expensive’ and ‘cheap’ foods can be measured on the same currency of calories. There are other ways, of course to measure different foods. You could simply weigh them. So 1/2 a pound of sugar is the same as 1/2 a pound of lettuce. 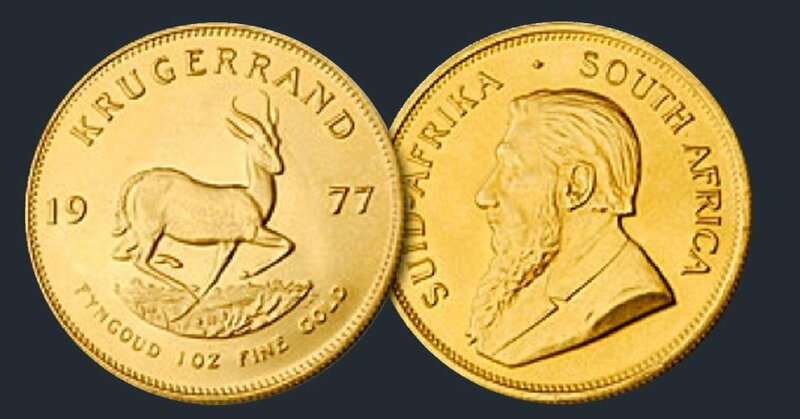 This is simply a different currency. You could make the same First Law of Thermodynamics argument for weight as for calories. If you eat 1/2 pound of food, whether sugar or lettuce, you must gain 1/2 pound of weight. After all, how can your body gain more weight? Does weight come from thin air? How can it gain less weight? 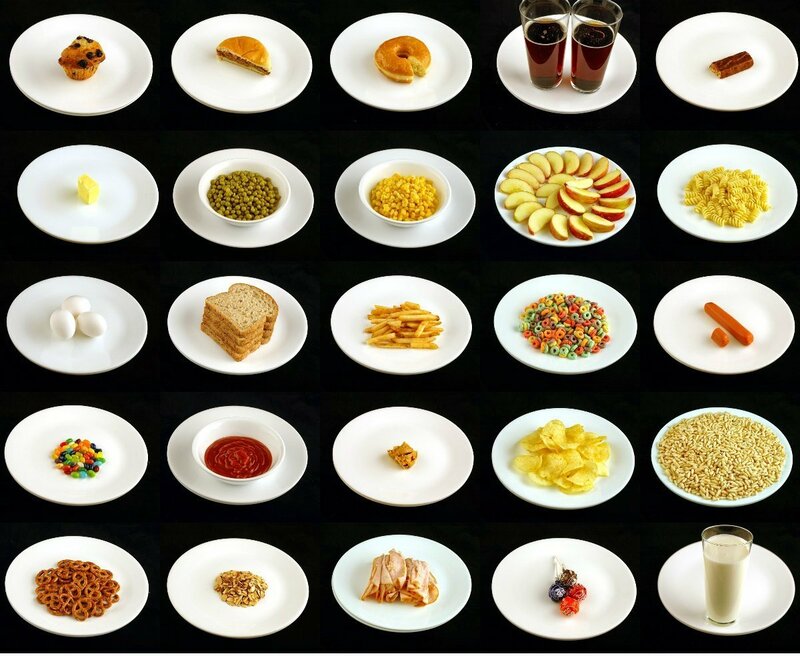 The weight of food simply disappears? Thermodynamics is a law, not a general suggestion. In both cases (weight and calories), the confusion arises from misunderstandings about thermodynamics and body fat. No, our body gains or loses fat according to detailed hormonal instructions from our brain. So what does our body respond to? Insulin. The rise and fall of insulin is the main stimulus to weight gain. So, food that stimulate insulin are typically more fattening (cookies). Those that do not (kale) are typically not fattening at all. If the body cares about insulin (and other hormones, but mostly insulin), then we need to use the common currency, speak the common language of the body. Insulin. We can translate foods into insulin effect instead of calories. Marty Kendall at www.optimisingnutrition did just that. Brilliant analogy!! Thank you, Dr. Fung! I’ll be using this and referring people to your blog DAILY, I’m sure. I know that my husband had terrible gall bladder issues but after we started doing LCHF all of his symptoms went away. If you go to dietdoctor.com (someone that has close ties with Dr. Fung) he has quiet a bit of info on gallbadders. I really think if you just stay the course it will all work out. Best of luck to you! According to him, Calorie Intake wether it’s Cheerios or real food seems to matter a lot. In short it doesn’t matter what you eat if you calorie restrict in the appropriate amount. That parameter alone seems to trump all the others. brilliant and explained in such away we can understand it . I am forever grateful for this wisdom you so freely share . Thank you. Thank you again, Dr. Fung. Another masterpiece. And I appreciate your humor. It adds to the article. Sten, thank you for sharing this regarding the IF solution to visceral fat. I had not found that yet on Dr. Fung’s blog (there is simply too much wonderful information here to get through it quickly). I do LCHF/keto (~15g net carbs/day), but I worry about visceral fat, insulin resistance, fatty liver, etc. I also do daily 16:8 but was concerned that I might need a more extended fast to address the issue – and now I have my answer! How is it then that people can get emaciated eating only rabbit meat, which is a very lean meat of nearly pure protein? Doesn’t pure protein cause an insulin surge? 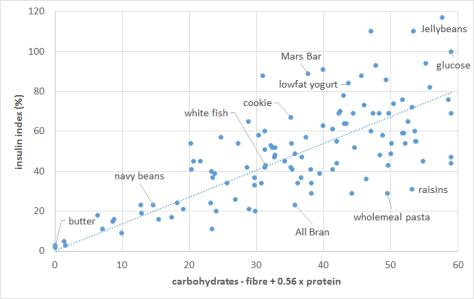 Perhaps the insulin surge from pure protein is irrelevant in the absence of carbs and fats? The human body needs fat to survive and rabbit meat is so lean something like 50 to 100g of fat per 2 kg of meat the person eating it either eats normally and feels hungry due to lack of fat or eats so much that excess protein causes issues. Basically rabbit is so lean you would have to eat so much protein to the point where it would start to become toxic. The insulin has no involvement in the starving feeling from the lack of fat. Did you check Jason’s link to https://optimisingnutrition.com/ above? 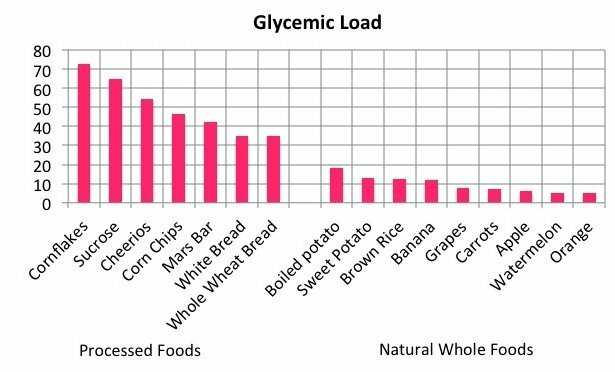 Yogurt is there listed as 9 g insulin load per 100 g. A lot less. ice cream has today so much sugar in it, probably near the ice cream cone that reaches to 89% insulinogenic… And crackers, muffins, bagels are all too up there, so you reactions are correct and the approximation formula is wrong! Great article – thank you Dr. Fung for your studies – guidance and advice – down 48 POF (pounds of fat) and feeling great – another 48 will probably take me 1 year (I have been at this sine late Feb 206) – but I know at age 65 after years of yo yo dieting and junk food I am extreme insulin sensitive and this is working! Can I just say, Audrilee, that my admiration knows no bounds for someone who’s been fasting for more than 1,800 years. Attagirl! I am, however, less impressed by an average weight loss of 4 ounces a decade. Loved this post, thanks for your work. 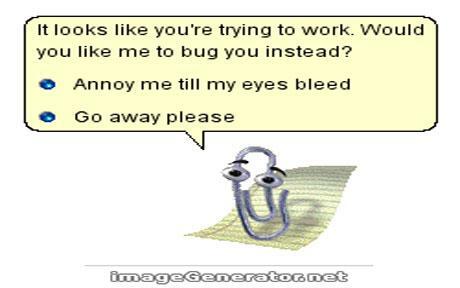 Your assessment of “Clippy” is THOROUGHLY CORRECT! I sent the image on to my husband at work, so he can use it as a screen saver. I’m sure this will thrill Microsoft to no end. Insulin – the proper frame of reference for discussion of diabesity. Excellent, Dr. Fung. Thanks for sharing your insight and helping all who will listen and learn. I read this recent article about the immune system and weight. Can it be that eliminating wheat and sugar leads to weight loss due to the effect on the immune system, and the effect on changes in microbes due to no sugar/grains? Without IF I hit a plateau after 6 months without wheat and sugar, and more low carb. But 4 years later I tried IF and I got off that plateau as if in a dream! Seems insulin is what Jason says it is, and yet it is probably a lot more. To me it is also a main engine building up stenosis as we age. Looking forward to more J.F. articles about insulin, for instance: “calcium score scan correlation with IF induced fasting insulin reduction, randomized trial with control group”, so that cause and effect isn’t obscured. Thank you for this Dr. Fung. Well communicated and clear to understand. So far, in four months, I’ve lost close to forty pounds and 6 inches of waist line. This approach of fasting and LCHF is definitely making a difference in my life. So the body doesn’t recognise calories. But we know that certain restricted calorie diets will decrease metabolic rate over time (years, i.e. Biggest Loser study by Kevin Hall – ‘here’s $5 buy yourself a clue’-guy). Are there any studies looking at fat fast type diets? Does the metabolism slow when calories are restricted but fat is relatively high? I get this all the time from friends. When I ask them if they will be healthier on 2000kcal of full fat coke or 2000kcal of spinach, they always change the subject. However as I am a ketogenic diet, they think I am going to die of a heart attack anyway. Consider the results of Salk institutes time restricted feeding research. Why not eat 8 hours and obstain for 16? Why not limit carbohydrate to 30 grams or less? Why not adjust protein in take In the 60 to 90 gram range?